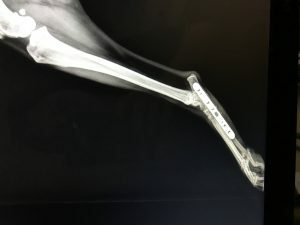 revealed there was no fracture and no compromise of her knee ligaments, but rather her tarsus (ankle) joint was showing tremendous laxity in a lateral fashion indicating ligament/tendon damage. 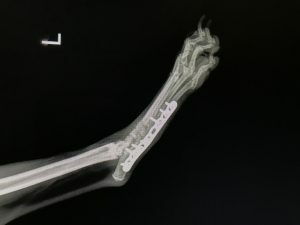 The options were to try and simply splint and see if time and rest would heal the tarsus enough to provide stability or to arthrodese (fuse) the joint. After some conservative management, her owner opted for the arthrodesis especially because of Kylie’s active lifestyle. 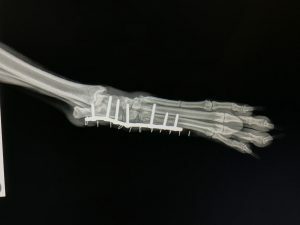 An arthrodesis and bone graft was performed. 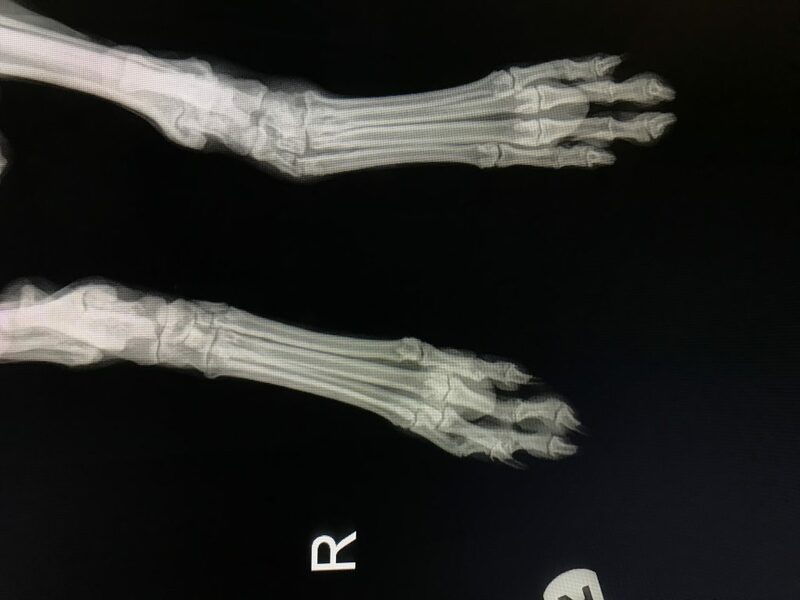 She wore a splint for an additional 6 weeks post-operatively, and the 6 week post-op X-rays showed she did a great job healing and the joint fused perfectly! 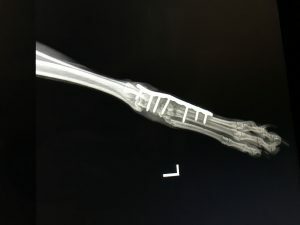 Kylie is currently doing great and back to her old games.